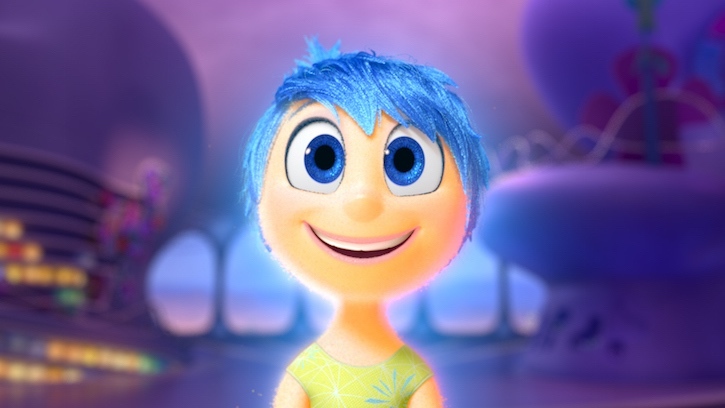 Expectations have been sky-high for Inside Out, the latest film from Pixar. For one, it is directed by Pete Docter, who directed the incredibly emotional Up. Additionally, there is pent-up demand for a Pixar feature film, given that we never got one in 2014. Today, the film played at the Cannes Film Festival and confirmed that even with the highest of expectations, Pixar can still impress. Read some snippets of the reviews after the break! Inside Out tells the story of an 11-year-old girl named Riley who is uprooted from her midwestern home and relocated to San Francisco with her family. We see much of the story told through Riley’s emotions, Joy, Sadness, Anger, Disgust, and Fear, an ambitious concept that Docter and his team seem to have captured well. I, myself, after seeing the first hour of the film was blown away by its layered complexity and ingenious storytelling. A number of press outlets had the chance to view the complete film earlier today. Below are quotes taken from their reviews with links to their full thoughts (Note: I’ve mined the reviews to keep it spoiler-free below). Sure enough, in execution, Pixar’s 15th feature proves to be the greatest idea the toon studio has ever had: a stunningly original concept that will not only delight and entertain the company’s massive worldwide audience, but also promises to forever change the way people think about the way people think, delivering creative fireworks grounded by a wonderfully relatable family story. This latest conceptually out-there creation from Pete Docter (Monsters, Inc., Up) serves up some abstractions and flights of deconstructive fantasy that will probably fly over the heads of viewers with ages in the single digits, but this adventurous outing manages the great Pixar trick of operating on two levels—captivating fun for kids, disarming smarts for adults—that sets the studio apart. With its quite literally cerebral bent, I think Inside Out might have some trouble fully connecting with younger kids, but grown-ups are likely to shed more than a few tears and give some knowing nods as this wistful little film plays out. It’s a film that revels in the simple, and yet profound, wonder of being alive. Oh, the places that Riley, and all of us, too, have yet to go. How do you explain how the emotions work? Do they control her every action? Do they grow and mature alongside her? How do you make a coherent, entertaining and moving experience out of that concept? Pete Docter, who previously directed one of Pixar’s best films, “Up,” doesn’t make things easy on himself taking on that challenge and it makes the success of “Inside Out” more admirable than it initially might seem. It hasn’t anything as genuinely emotionally devastating as Up, or the subtlety and inspired subversion of Monsters Inc. and the Toy Stories which it certainly resembles at various stages. But it is certainly a terrifically likeable, ebullient and seductive piece of entertainment, taken at full-throttle. Pretty to look at (the real world segments, especially, are among the loveliest animations the studio have ever done), the film is not quite the perfection of Pixar’s greatest output, but no matter how much you may put your dukes up to a movie so shamelessly manipulative, you will be disarmed. Not only because the film is so overtly about emotional manipulation, but also because, for all the Disneyfication of Pixar that we fear (ridiculously enough, the Disney logo got a smattering of boos, while the Pixar logo was roundly cheered), “Inside Out” is not just fun and breezy, it’s also truly weird and wicked smart in its thoroughly heartfelt conclusions. Essentially, if you didn’t believe the hype the film has been getting since it was announced four years ago, you can start believing in it now. The reviews all seem to agree the film is good, with most placing the film near the top with Pixar’s best. That makes the wait until the release of the film even harder, doesn’t it? 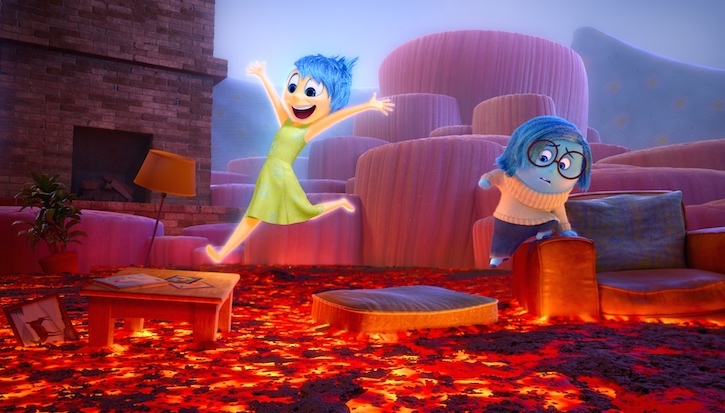 Inside Out premieres in North America on June 19th!